Grab your bravest friends and race through fairylands you did not even know existed. You have never seen your favorite ogre move this fast before! 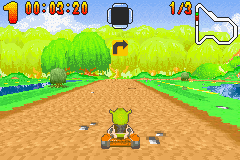 Eight playable characters each in their own special freak-kart, four bad bosses to defeat, unlock and play, sixteen swampy race tracks, Multiplayer action allows friends to race each other. 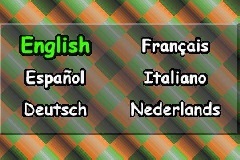 This game was released in 2002. 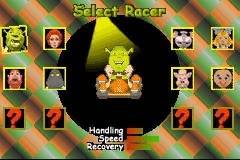 In Shrek - Swamp Kart Speedway (U)(Venom), you grab your bravest friends and race through fairylands you did not even know existed. You have never seen your favorite ogre move this fast before! 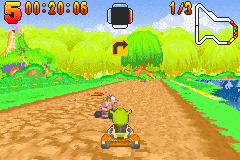 Eight playable characters each in their own special freak-kart, four bad bosses to defeat, unlock and play, sixteen swampy race tracks, Multiplayer action allows friends to race each other. Now you can add videos, screenshots, or other images (cover scans, disc scans, etc.) 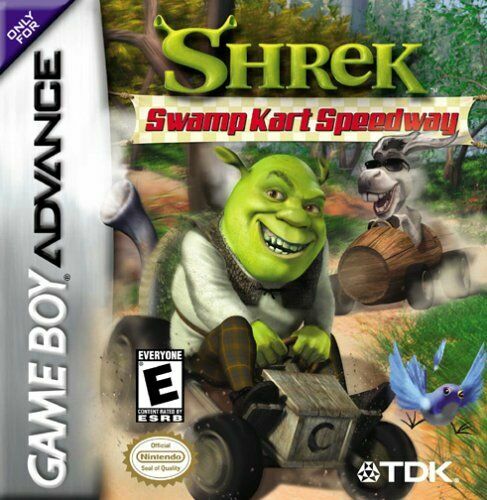 for Shrek - Swamp Kart Speedway (U)(Venom) to Emuparadise. Do it now! If you haven't noticed yet, we have a retro game of the day feature (top-right of the screen) wherein we feature a new retro title every single day! Now, you can vote for your favorite games and allow them to have their moment of glory. Click on the button below to nominate Shrek - Swamp Kart Speedway (U)(Venom) for Retro Game of the Day. 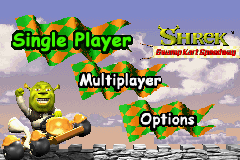 You have the option of playing Shrek - Swamp Kart Speedway (U)(Venom) in your browser, right here at EmuParadise! No need for any software, no installations required, all you need is a fast enough PC and a browser with Flash support. This is great if you're on a PC with restrictions on software installations or want to secretly play at work. skill and racing strategy will still win the day. If we don't know you, don't bother. Aggression, Anthrox, Capital, Echelon, Eurasia, Kalisto, Menace, & Mode 7.